The schematic overall strategy to study tissue lymphocytes. (A) Flow chart of the overall single-cell platform used to study human tissue lymphocytes, which consists of 3 basic modules: flow cytometry (FACS), bulk CD3+ RNA-seq, and C1 Fluidigm–based single-cell RNA-seq. 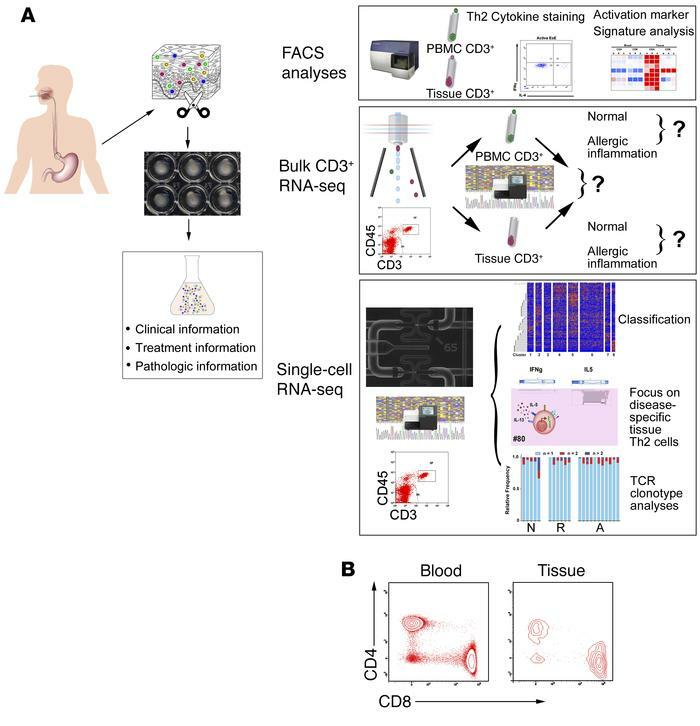 (B) CD3+ lymphocytes isolated from esophageal biopsy tissue and autologous blood were analyzed by FACS and substratified into CD4+ and CD8+ populations.